As we grow in the Christian life, we become increasingly aware of the beautiful tensions in the Christian life. One of the most beautiful we often say this way: “We are saved by grace through faith alone, but the faith that saves is never alone.” Here in Watermark Kids, we believe God calls us to press into those tensions even with children. Last month we focused with the kids on the godly character trait of “Righteousness” and how there is absolutely nothing we can do to earn it. It is simply a gift we receive from a righteous Savior when we cease striving and surrender to His grace and mercy. This month, we get to focus on how we do the work that His righteousness calls us to and enables us to do. How do you as a parent shepherd your children towards a life that reflects diligence? As a parent of 3 kids, it seems that it is an ongoing challenge in our home to remind our kids that more important than good grades, a win in sports, or even the completion of a Watermark Kids challenge is whether they did their very best and glorified God in their effort. 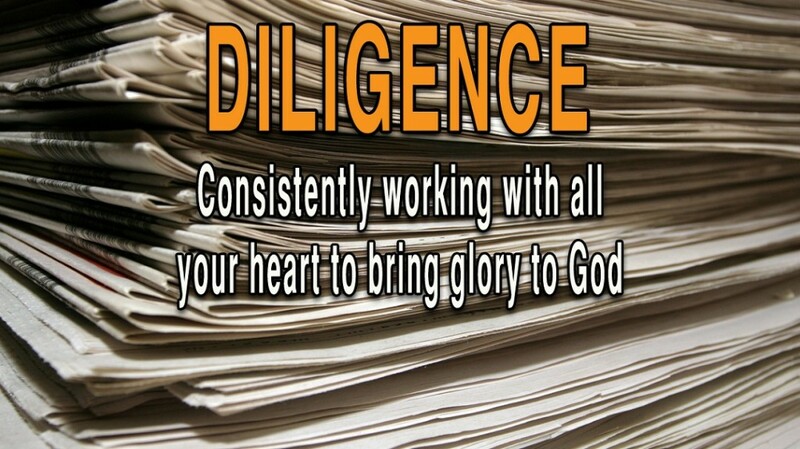 This month we will take a look at what godly diligence looks like, how God empowers us for the work He calls us to and how Jesus’ promised return and Great Commission motivate and give purpose to our work. Most importantly, we’ll acknowledge that the goal of our work is the glory of God alone. Get started with your kids on the definition and memory verse and join us every week you can this month! Whenever we have a 5th Sunday, we like to take advantage of it to introduce the kids to a non-biblical hero of the faith, specifically one that models the character trait we’ve just studied. This month we are excited to tell the story of one of my personal heroes, Hudson Taylor (1832-1905). We’re excited to introduce the kids to this great hero of the faith at the end of March, but we’d love to challenge you to beat us to the punch. Challenge your family to do some research this month finding out who this man was and what we can learn from his life. Here’s a short bio to whet your appetite. 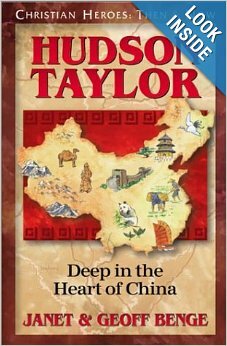 You may also consider purchasing Hudson Taylor: Deep in the Heart of China, a great book for kids from the Christian Heroes, Then & Now series. However you go about it, learn together about this faithful servant and see what God might teach you or call you to as a result. Our prayer for you this month is that you will not only join us in teaching your kids about diligence, but that you will model well for them what diligence looks like and teach by example. The changing season and the deep breath of Spring Break afford us some great opportunities as parents, if we will take advantage of them. Let’s pray together that we will always give ourselves fully to this work of the Lord known as parenting, trusting Him to empower us for the task, knowing that our labor in the Lord is not in vain. The post March Elementary News: Diligence and Hudson Taylor appeared first on Watermark Community Church Blog.